I’ve used CM now for the past 75 days, and have lost almost 12 lbs. It’s easy to use and has a reasonably good database of foods. Barcode scanner is the best feature IMO. Some feedback / areas for improvement: - The meal / recipe add is confusing. I’ve finally figured it out but wasn’t easy at the start. Quick add should allow you to specify the information around portions, etc, that allow you to scale off the portion for the overall nutrition. It doesn’t. It also doesn’t support full nutrition input. - The AI feature is frankly hit or miss in terms of accuracy. I’ve been amazed from time to time, like when I took a picture of a plate of sashimi and it figured out what I had. But usually, it’s just wrong. Luckily the search feature helps you out. - There are some really powerful features like the “builder” items that come up for things like burritos or salads. But you don’t appear to be able to search for these, or at least I haven’t figured it out. The builders also need more options, and it would be nice to create your own “builder” option. If you can’t do this, at least add one for power bowl building. - Scrub your database. You need to look at the HUGE variability around something as simple as “grilled chicken” (just an example), which makes it necessary for me to reach out to Google search for calorie information more than I’d care to. You also should provide a way to allow a crowdsource way for users to input nutrition info, esp. for restaurants. Almost every restaurant has a PDF file that has nutrition info for its restaurant. Allow a way for a user to input this! Instead, you have to spend 5 mins googling, then tediously inputting into the cumbersome menu or quick add capabilities. 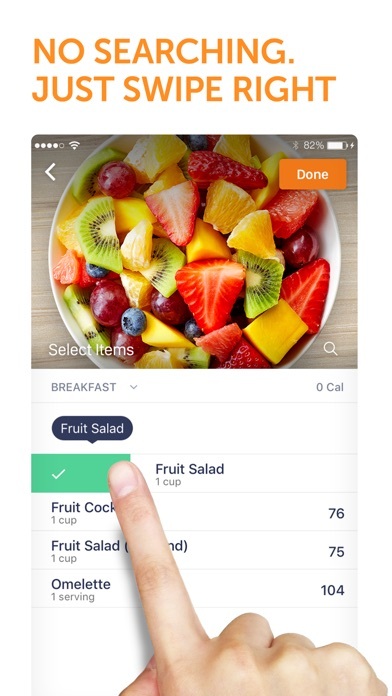 - Overall, I think Azumio should focus on (1) the usability of its app, making it as fast and easy as possible to input food items not found, and (2) the accuracy and consistency of its database. I’ll keep using this app, but if I find something that addresses these issues better, I will switch. I am in love this app. This app has helped me lose 47 lbs, and my son has lost 84 lbs. We use the barcodes on all the packages of the food we eat to add to our meals. 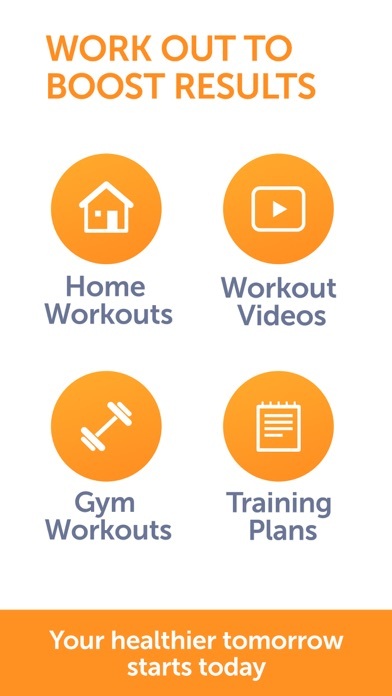 I do Tae kwon do and I would love the app even more if you added that to the cardio list. Azumio seems to really have this stuff down, I love all of their apps to be honest. I prefer them over their competitors and have been recommending them like crazy to people! 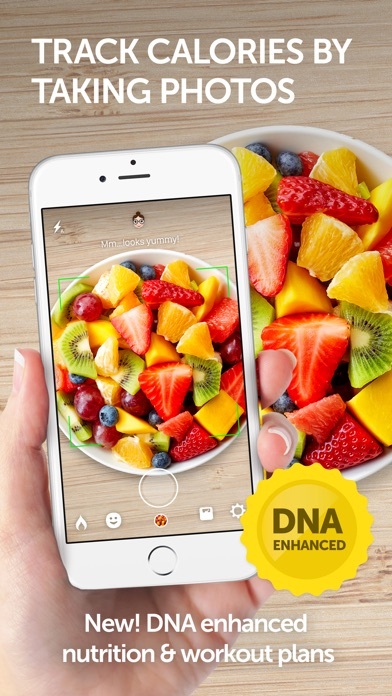 The ability to take a picture of your food, and artificial intelligence to identify what it is, is absolutely astounding. I have tried to stump the AI multiples times but can’t seem to do it. There is an Italian Christmas cake called Pannetone, and I took a picture of something as obscure as that, and it KNEW that it was pannetone. Even like stuffed peppers it knows. Download all of their apps and start using them consistently and you won’t regret it. I would love to talk with the development team or execs to brainstorm what can be improved. But this is a great project and I’m sure it’ll only get better with time! All the best! This app has great potential but it has to be a work in progress. 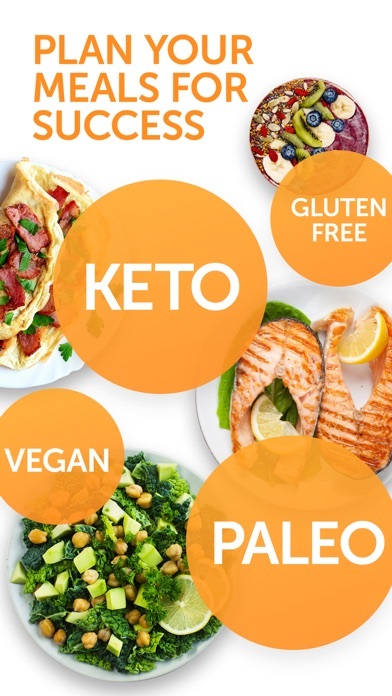 The recipes offered in the meals section offers nutrition info for 1 serving, but fails on a very elementary level to indicate how many servings each recipe makes! At first I thought each recipe makes one serving, but I brilliantly concluded this couldn’t be the case when I ate more than half of a 1 1/2 lb turkey meatloaf and realized this assumption couldn’t possibly be right. Be sure to read every word of each recipe. For instance, flaxseed meal is not listed in the ingredient list. One discovers it is an ingredient (though amount to add isn’t provided) near the end of the recipe. I happened to have Almond Flour on hand and substituted it. I love how Calorie Mama works seamlessly with Argus app. But the photo AI almost always requires a manual entry or bar code scan as the options offered don’t apply. It does recognize a banana. Dumb AI doesn’t even learn after multiple manual entries and barcode scans. 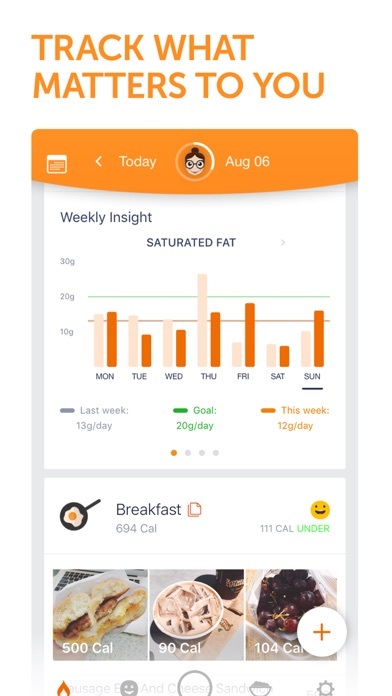 I used a nutrition app developed by LiveStrong over 5 years ago that was far better. DEVELOPERS — THIS NEEDS YOUR ATTENTION. EVERY RECIPE SAYS “NUTRITION VALUES CERTIFIED.” BY WHO? THIS IS A LAWSUIT WAITING TO HAPPEN. I gave this app 2 stars only because it has great potential to provide valuable info as part of the Argus suite. As it is it only deserves 1 star. PLEASE FIX THESE OBVIOUS DEFECTS! I wish I could cancel before it auto renews. I don’t want to get charged when my subscription expires but for some reason we aren’t allowed to cancel while it’s active. I don’t like that. Much better app so far. Easy and concise. FOOD RECOGNITION! The app is very intuitive. If you use MyFitnessPal you will be able to switch and use this app seamlessly. Way too cumbersome. I want everything in one app. I don’t want to have to download several different apps that do similar things. Needs a lot of work.